Dover has announced that it plans to spin off its upstream energy businesses within the Dover Energy segment (collectively know as “Wellsite”) into a stand-alone, publicly traded company. The plan to pursue a tax-free spinoff of the segment concludes Dover’s strategic alternatives review that was announced in September, and is the culmination of a comprehensive process to determine the best separation alternative to maximize shareholder value. Upon completion, the spin-off will be a leading provider of a full range of oil and gas production technologies and solutions, wellsite productivity software and IIoT solutions. 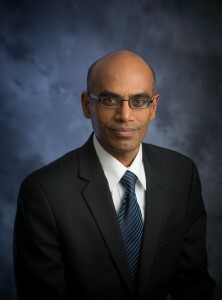 Soma Somasundaram, President and CEO – Energy Segment, Dover Corporation, is a member of the PESA Advisory Board. He will become President and CEO for the new company upon completion of the transaction. He has 14 years of experience at Dover and has served in his current role since 2013. The new company is to be named at a later date.